WASHINGTON, DC - OCTOBER 1: Bradley Beal #3 of the Washington Wizards shoots the ball against the New York Knicks during pre-season game on October 1, 2018 at Capital One Arena in Washington, DC. The Wizards will look to end their five-game losing streak on Sunday when they host the New York Knicks at 6:00pm at Capital One Arena. The Knicks (3-6) come into D.C. after beating the Mavericks in Dallas on Friday night. It’s no secret the Wizards are struggling right now to put together complete games. The Wizards have started the season 1-7 in part to having the hardest schedule in the NBA, but there are issues on both ends of the court. Offensively, the Wizards have not been making shots they're used to seeing go in, and that can be even more noticeable when more 3-pointers are being taken. With plenty of lethal shooters, shots just haven’t been falling so far this season. Also, the Wizards have averaged 19 turnovers per game in their past two games. Taking care of the ball and improving transition defense will be keys against the Knicks, who have the third-highest opponent turnover percentage in the NBA (the Wizards are fifth). Limiting turnovers and shot selection will be two offensive keys on Sunday. Washington’s defense is giving up 115.9 points per 100 possessions, and the team has emphasized communication and overall effort as keys to improving that. The Wizards are in the bottom two in total, offensive, and defensive rebounding percentage. Having a completely healthy team, barring Otto Porter Jr.'s status and Dwight Howard active can only help. The Knicks are bottom 10 in offensive efficiency, and the Wizards should be able to lock in at home against their young squad. Speaking of Dwight Howard, he will be playing in his second game as a Wizard. He had a strong debut on Friday offensively, scoring 20 points on 7-of-8 shooting in 23 minutes of action. He was catching lobs, making shots off the dribble, and clearly was an offensive sparkplug early for Washington. Look for him to stay aggressive on Sunday against rookie Mitchell Robinson and now reserve Enes Kanter. The Wizards are expecting Howard to anchor their defense, and as he gets more comfortable with the starting five, the team's interior defense should improve. Howard's in his 15th season in the NBA now, and he's still a reliable and productive player at the center position. 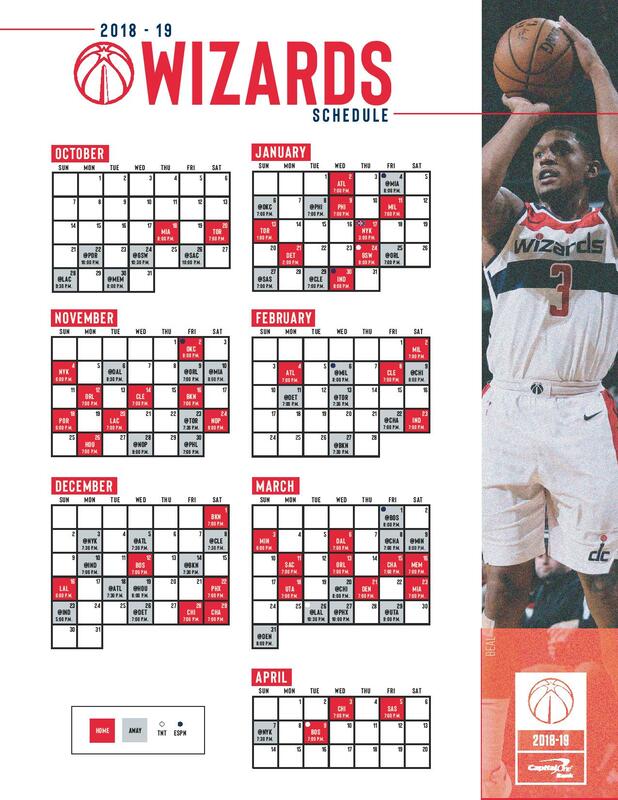 - The Wizards will go on the road after Sunday’s game for the week of November 5 to take on the Mavericks, Magic, and Heat. After the road trip, they return home for the team’s longest home stand of the season before Thanksgiving. - Washington and New York played twice in the preseason, which will give some extra film for both teams. They will meet three more times after Sunday’s game, including January 17 in London. 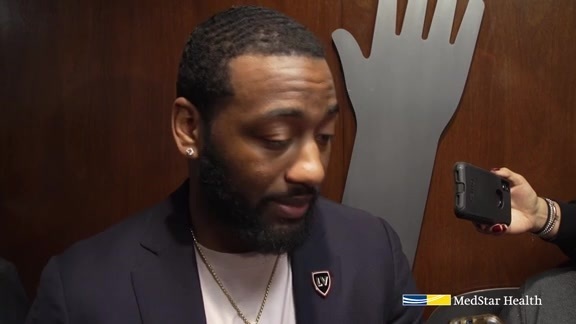 - John Wall is averaging 20.4 points and 8.9 assists per game on 45.9% overall shooting and 43.4% from beyond the arc in 24 career games against the Knicks. Bradley Beal has averaged 20.8 points per game on 48.3% overall shooting and 40.7% from deep in 18 career games.